My name is Michael Pistono, and I’m a 28-year-old photo enthusiast living in Honolulu, Hawaii. 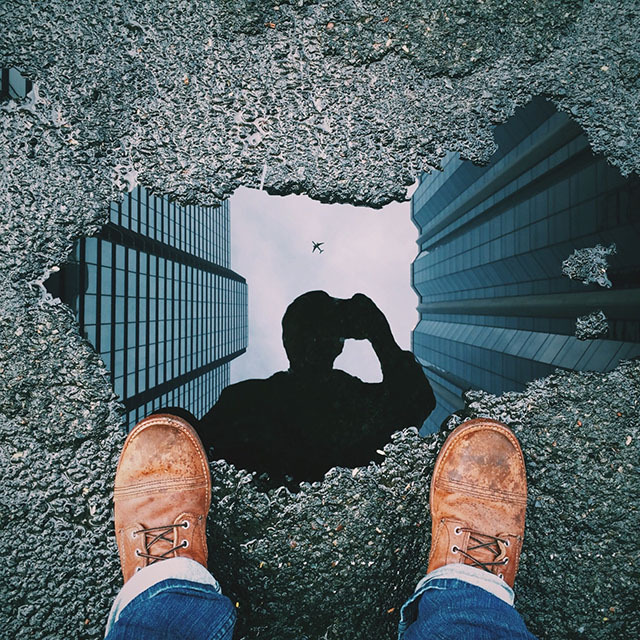 I was recently playing around with a reflection photo when I had the idea of creating another one out of a puddle — one that featured both tall buildings and an airplane. This step-by-step tutorial shows you how to really maximize your photographs for Instagram. What ended up happening in this case was a surge in popularity on Reddit that has garnered Michael millions of views. Visit the link below to see how you can make one of your own.